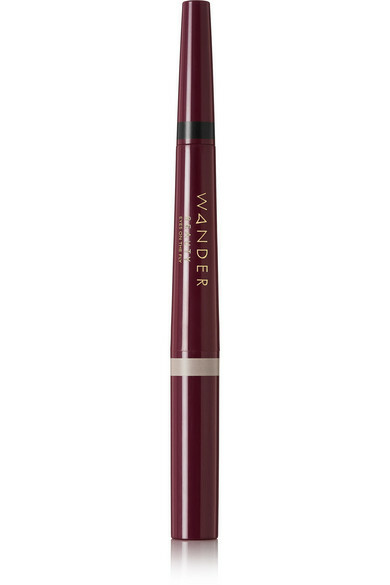 - Liner: 0.20g/ 0.007oz; shadow: 1.5g/ 0.053oz. Ingredients:Trimethylsiloxysilicate, Cyclopentasiloxane, Synthetic Fluorphlogopite, Isododecane, Polyethylene, Ethylhexyl Palmitate, Euphorbia Cerifera (Candelilla) Wax, Ceresin, C12-15 Alkyl Ethylhexanoate, Microcrystalline Wax, Hydrogenated Styrene/Isoprene Copolymer, Disteardimonium Hectorite, Propylene Carbonate, Glyceryl Caprylate, Tin Oxide, Hydrogenated Polyisobutene, Tocopheryl Acetate, Rosa Canina Fruit Oil, Calendula Officinalis Flower Oil, Dimethicone, Titanium Dioxide (CI 77891), Mica (CI 77019), Iron Oxides (CI 77491), Yellow 5 Lake (CI 19140). 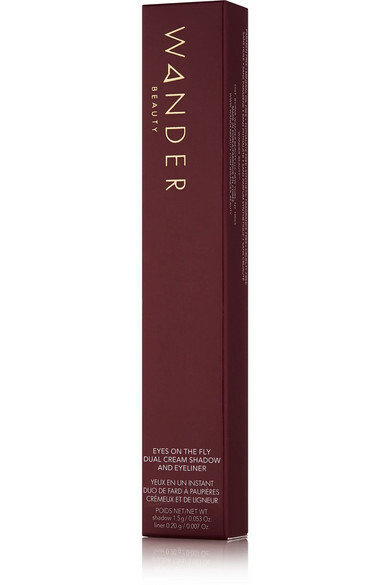 Wander Beauty's dual-ended 'Eyes on the Fly' comes with a blendable taupe shadow and highly pigmented black liner. 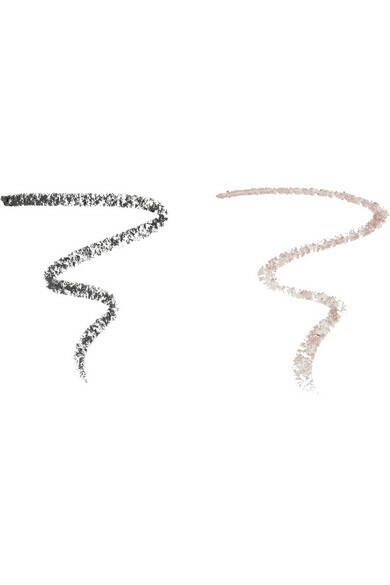 Designed to glide effortlessly without creasing, the silky formulas are enriched with nourishing Vitamin E and moisturizing Calendula and Rose Hip Oils.